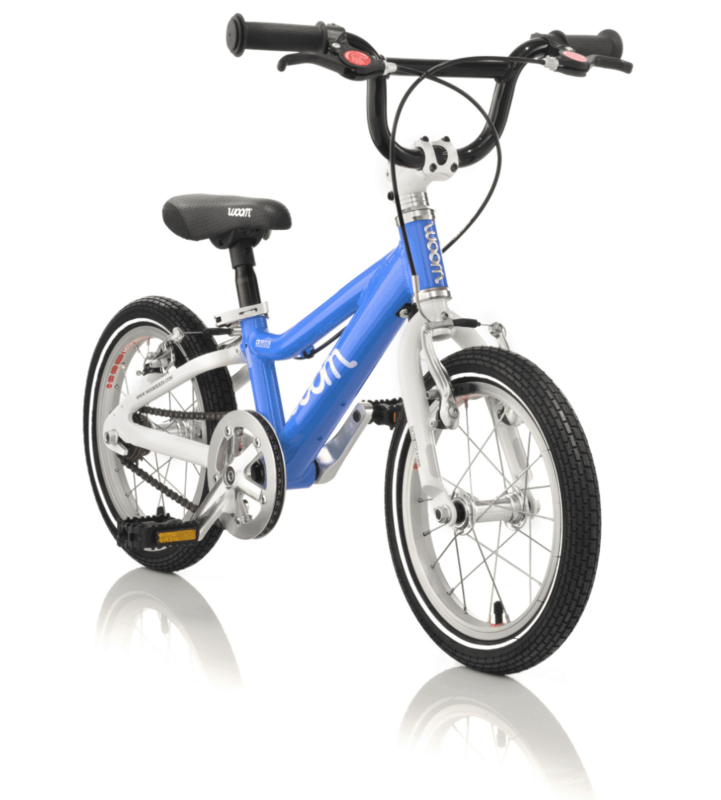 The WOOM2 is the next step up from the WOOM1, which is a 12″ balance bike. 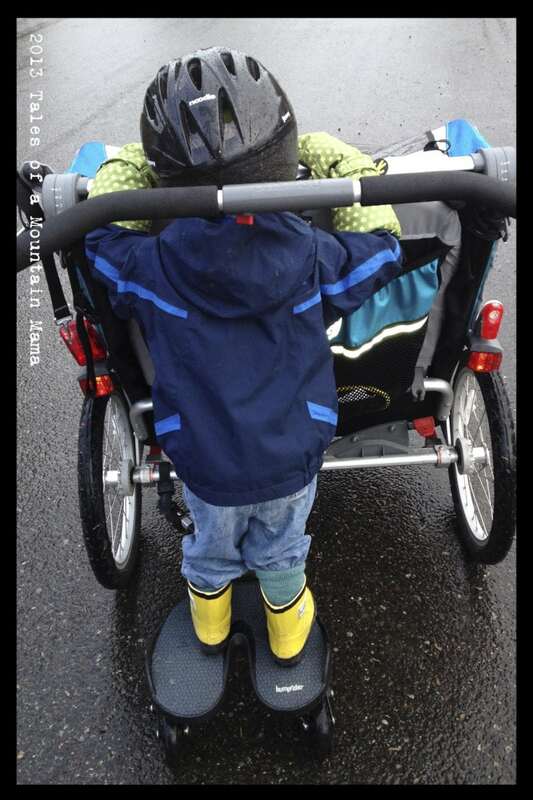 As a bit of a comparison, all other balance bikes that my kids have been on have had smaller than 12″ wheels. Before riding the WOOM2, P had been on a 12″ Specialized Hotrock. He is small for his age, so finding bikes that fit his ability has been a bit trickier. He weighs about ~27 pounds and wears a size 3T pant. I was honestly a little concerned that the WOOM2 would be too big for him since the bike has 14″ wheels. In the United States, CPSC 15.12 requires that all sidewalk bikes must have a coaster brake (coaster brake = a brake in the hub of the rear wheel of a bicycle operated by reverse pressure on the pedals.) As a bit of a note, if you do some research you’ll notice there are other bikes on the market without a coaster brake but they are illegal. Because of their deep conviction in the fact that coaster brakes are in fact detrimental to the biking learning process, WOOM offers a “freewheeling kit” accessory you can buy for $29. The WOOM 2 and 3 both come equipped with hand brakes AND coaster brakes to make the process easy. – The coaster brake is heavier than the freewheel. The bike is just easier to pedal without it. – When using coaster brakes, an emergency stop is only possible whenever one of the pedals is positioned at the 1 o ´clock position while riding. This contains significant risks as the child can only perform an emergency stop whenever the pedal is in the right position. In case the pedal is in not in the correct position in an emergency situation, your child might not be able to brake adequately. We’ve seen this be an issue for both of our boys. – Introducing the concept of using the break will make their life much easier in the long run and most important of all, much safer. Especially important is the front brake, which delivers the braking power. Learning how to work both brakes is essential for children as they grow up. P (aged 3.5) wants to ride all the trails that his older brother does (go figure). However, until he is proficient using BOTH handbrakes at the same time, we will not let him ride them. The coaster brake is just not safe because it only brakes one wheel. Because we didn’t think it was quite fair to throw our child from a coaster brake bike he had been riding for over a year to a freewheeling bike, we kept the coaster brake on for the first few weeks. 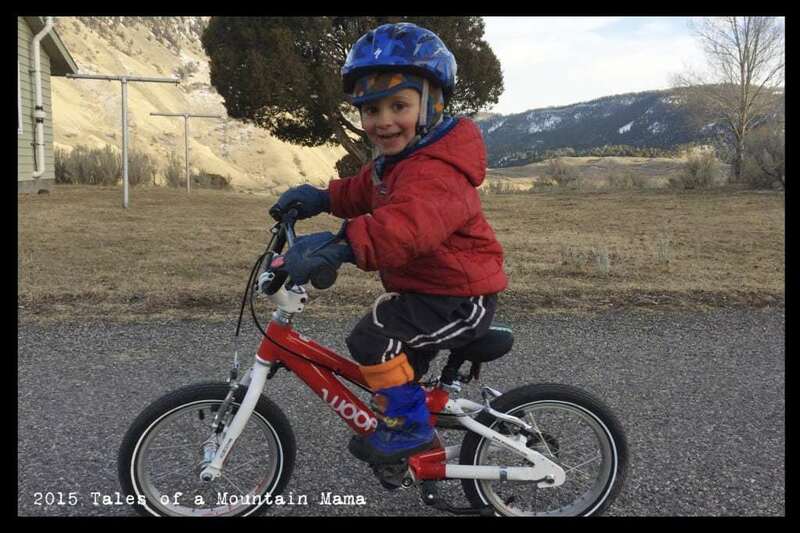 However, if he had been young enough to be transitioning from a balance bike (preferably with handbrakes to start practicing with like the WOOM1), it would have made sense to skip the coaster brakes altogether. Just one less skill to master for a just-learning biker. As a bit of a background, we told P that he could not ride (steepish) trails like his big brother until he was not using a coaster brake and was confident with his hand brakes, from purely a safety standpoint. That was enough motivation for him to practice daily and be asking to get it switched out within a week. 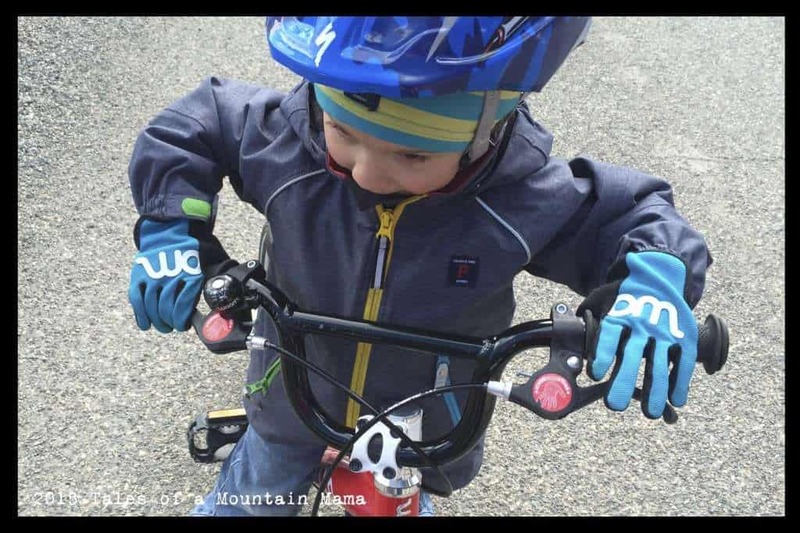 While WOOM recommends the switch out only be done by a bike shop professional, Mtn Papa has worked on bikes for years and years and was able to do it at home. He noticed right away a huge weight difference, which means a LOT when you are a small rider. 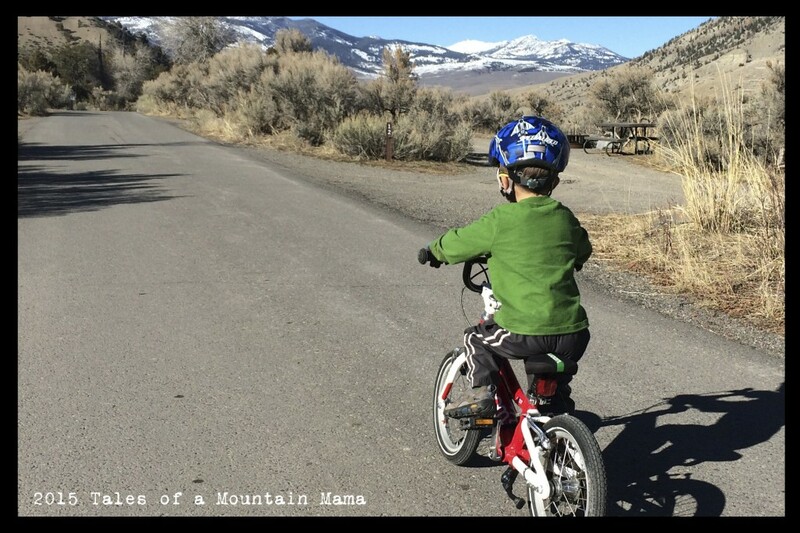 While it did take P a week or so before he was confident to ride on the bigger hills (mostly hand and arm strength to be braking significantly), the improvements to his ease of riding make the transition absolutely worth it. The video below shows P starting himself (notice him easily getting his pedals in the right place to start), riding up a slight incline and then coming back to me and using the brakes. He does put his feet down too in the video, but he is a good enough rider (AKA “braker”) that I let him ride on a substantial grade hill now without worry. The WOOM2 keeps riders at a more upright angle to help them feel more balanced and in control of the bike. I refer you to the Two Wheeling Tots review of the WOOM2 & WOOM3 because she does such an exceptional job at explaining the importance of good geometry. Right away, P felt more comfortable on his WOOM2 than the 12″ Specialized, despite it being a larger bike, mostly because of how he sat on the bike. The hand brakes are also built for small hands. However, I was skeptical as to whether they would fit P’s small hands. Even other balance bikes with “small hand grips” he has been on have been too difficult for him to work (mostly because the reach was too far). While it will only get easier as he gets bigger, the WOOM2 was not a problem. We continue to work on the importance of using BOTH hands and building that foreharm/hand strength for ease of braking – again, which only improves with practice. According to our scales, the 12″ Specialized Hotrock the WOOM2 (with the free wheel) and were actually very close in weight (a little over ~15 lbs). However, the larger size of the wheel makes a big difference as far as a faster ride, but more importantly, a smoother ride on rougher terrain. Trails can be pretty hard to navigate on 12″ wheels because the bumps are so magnified. Removing that coaster brake brought the bike down about a pound. Might not seem like much, but when the bike only weighs 16 pounds to start with, that’s a significant reduction. To be perfectly honest, if you want your child to LOVE biking and be successful (and you plan to foster that with family biking and biking opportunities), there is no other bike I would recommend spending the money on. 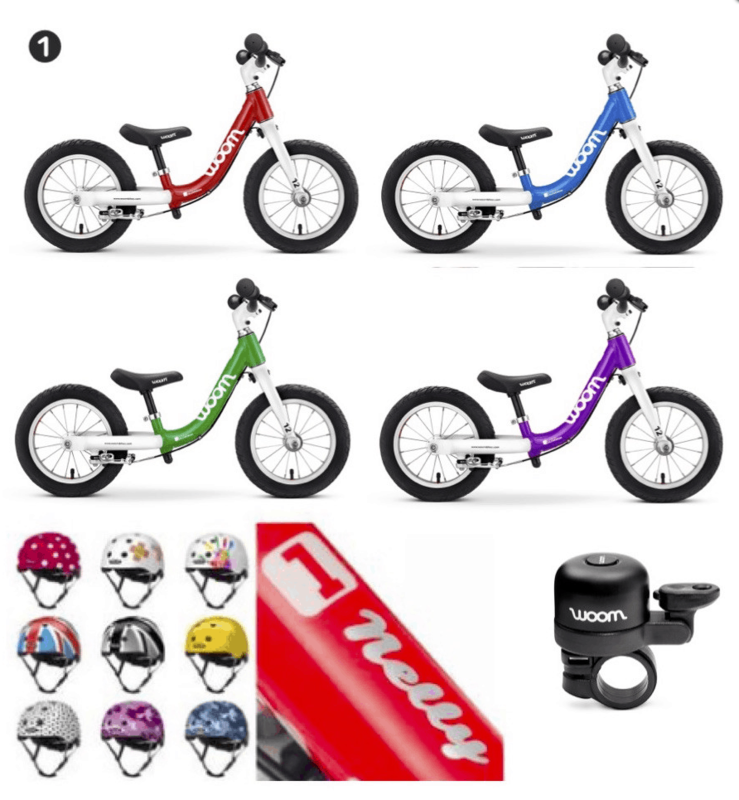 I’m not saying that children could not be successful on other bikes (and totally are – our kids were some of them), but the WOOM2 stands out as such an exceptional bike that it is absolutely worth the little extra investment with the payoff of quicker successes, especially for smaller riders. 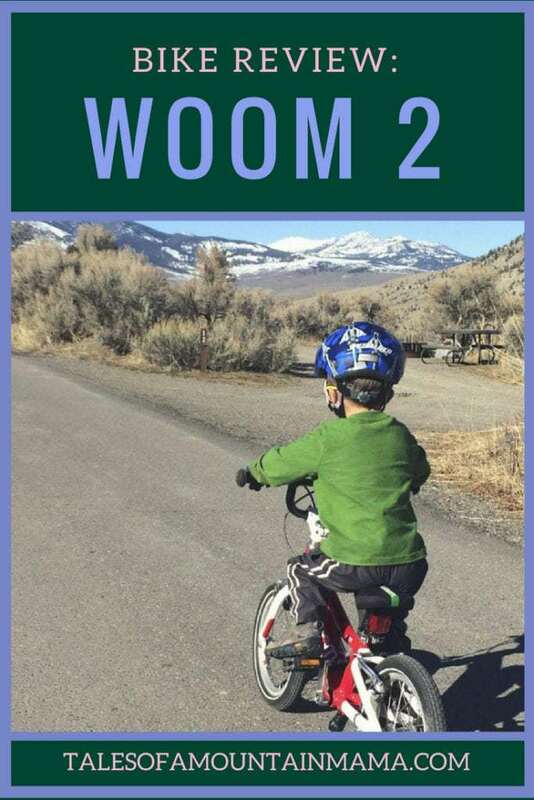 The WOOM2 is built for small riders in mind and the entire package is obviously geared towards helping little ones become great bike riders fast. In our home we ride bikes daily. We live around some pretty serious hills and our kids really feel the weight of heavier bikes. 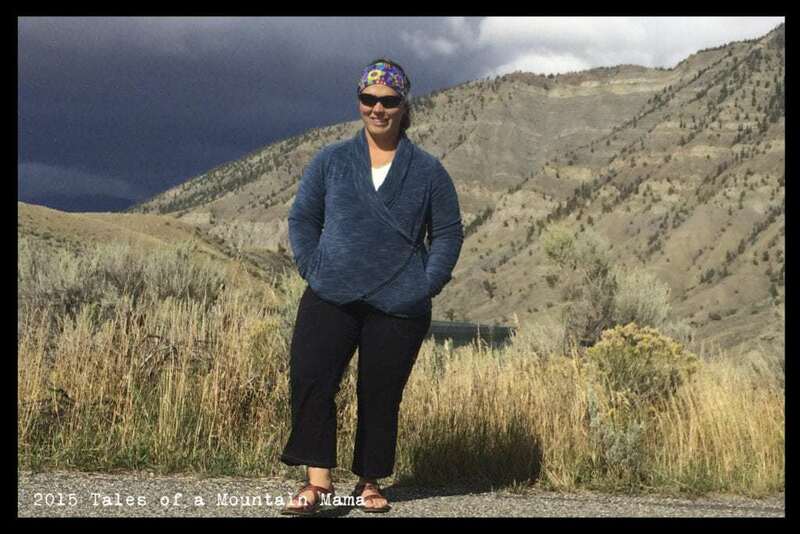 Their bikes are THEIR “sanity time” and outlet time – they love riding and we love to see them succeeding! The WOOM2 has changed our 3 year old into a “lets get by and push this bike up the hill” to an independent and confident rider. Absolutely golden for us!